You are here: Home / 17th and 18th Century Natural Historians / 1700s / Mather on Genesis 1:21: What is the great sea creature? 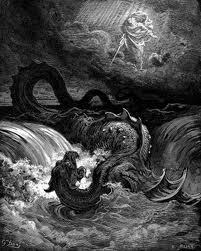 Mather on Genesis 1:21: What is the great sea creature? “Q. What are the Creatures intended in the Original, where our Translation reads, Great Whales? V.21. The verse of interest here come from the King James Bible, Genesis 1:21: And God created great whales, and every living creature that moveth, which the waters brought forth abundantly, after their kind, and every winged fowl after his kind: and God saw that it was good. Titanosaurus: Largest Dinosaur Ever Found But is it the Largest Animal?